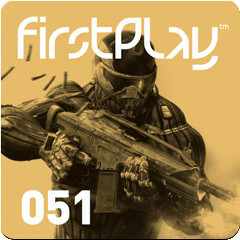 FirstPlay hits episode #51 this Wednesday, featuring HD reviews of Crysis 2 and Shift 2: Unleashed. You can also find a preview of Duke Nukem Forever and a round-up of recent PS3 releases including Top Spin 4 and Two Worlds 2. Finally, check out a review of Chime Super Deluxe, and the regular screenshot galleries, this week including Shadow Of The Damned and Dead Island.